Home SharePoint SharePoint 2013 SharePoint 2016 SharePoint Online Web Parts How to Display Charts in SharePoint using Excel Web Access Web Part? How to Display Charts in SharePoint using Excel Web Access Web Part? 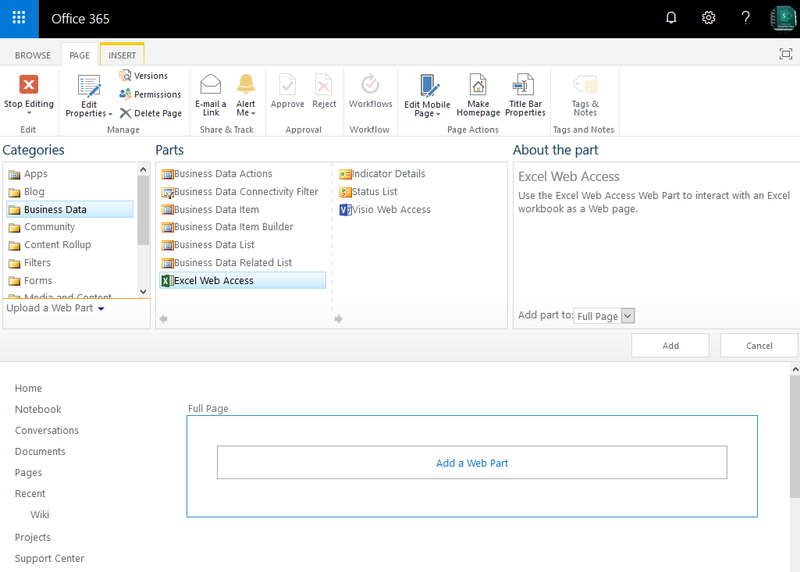 How to Show Excel Charts & Graphs in SharePoint Online using Excel Web Access Web Part? Excel Web Access web part in SharePoint Online can be used to display charts. 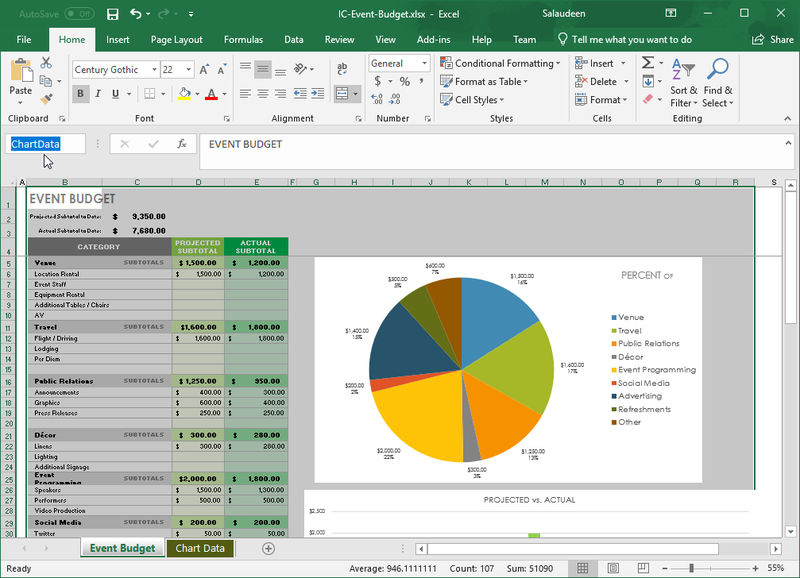 To display the Excel sheet with charts in SharePoint: Create an Excel sheet with Chart data, Select the chart and data area in your spreadsheet, give it a name. E.g. 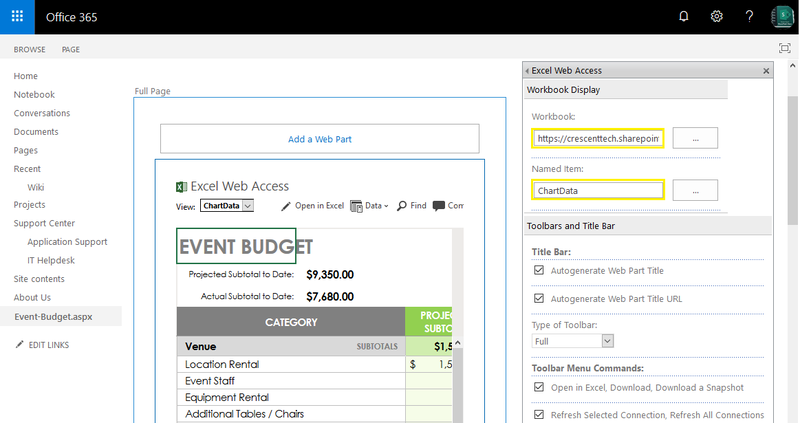 "ChartData"
Under "Business Data" category, Select "Excel Web Access" web part and Click on "Add"
Now, Edit web part properties of the Excel web access >> Browse and select the spreadsheet from your document library. Enter the "Named Item" you created in the spreadsheet. You can adjust the height and width of the web part according to your requirement. 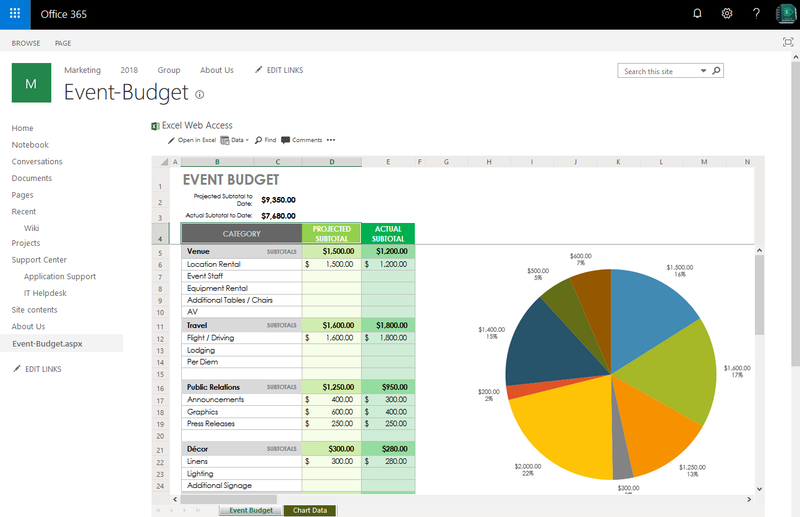 Finally, the spreadsheet with charts will be displayed on your SharePoint page. You should see the chart from the Excel workbook!